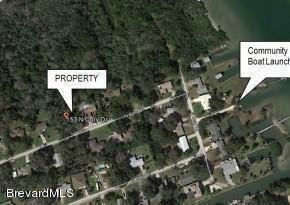 ENJOY WATERFRONT AMENITIES WITHOUT THE WATERFRONT TAXES.ONLY A FEW SUCH LOTS AVAILABLE. DEEDED RIVER RIGHTS ON THIS PROPERTY GIVES YOU ACCESS TO THE RIVER FOR BOAT LAUNCHING, KAYAKING, PADDLEBOARDING AND FISHING. THIS BEAUTIFUL LARGE BUILDING LOTS BACKS UP TO THE GREEN SPACE OWNED BY ST GERARDS MISSION CHURCH WHICH IS WOODED AND WILL GIVE YOU THAT COUNTRY -SECLUDED FEELING. CLOSE TO I-95, 1-4, ORLANDO INTERNATIONAL AIRPORT AND DISNEY.CUL-DE-SAC COMMUNITY OF VERY NICE HOMES. OWNER WILL CONSIDER OWNER FINANCING.